Extreme Landings is a well designed game for Windows 8 and 8.1 which allows you to control your airplane and land it on an airstrip. The app gives you a good understanding of how the landing system of an airplane works. 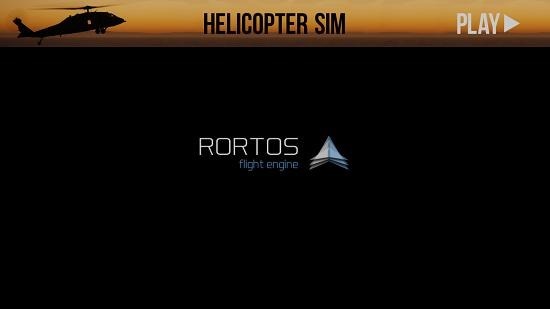 The game has a lot of missions which you can choose from to select the area where you wish to perform the landing. 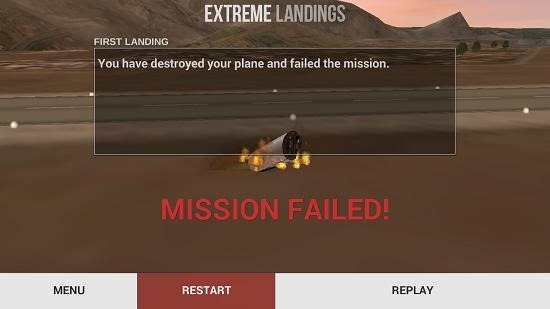 The game has simple controls where you can perform the landing via the arrow buttons and a large number of mission challenges keep the game interesting all throughout. 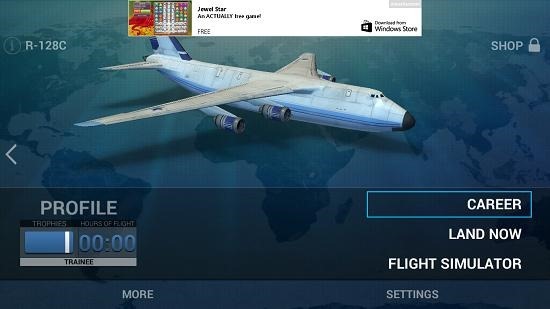 Extreme Landings is available for free from the Windows App Store. Launching the game presents you with the below interface. The above screen is the loading screen of the game. When the game loads up you will be taken to its main menu. 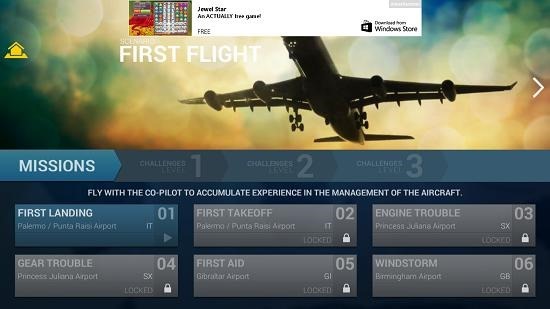 Here you can choose the Career mode and you will be presented with missions that are available for you to play. Initially the first mission is unlocked. You will unlock more missions as you progress through the game by completing previous missions. When you select a mission, you will be brought to the gameplay screen. This is shown in the screenshot below. You can see the controls in the screenshot above. The down arrow allows you to lift the plane up, and the up arrow pulls the plane down. Right and left arrows allow you to turn the plane right or left. You have to travel through the green boxes onto the landing strip. 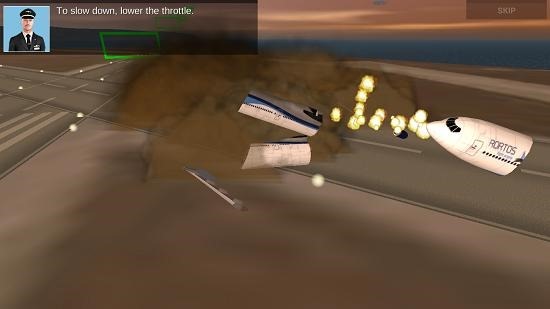 If you perform an incorrect landing, the flight will immediately explode upon impact. And then, you’ll be shown the mission update. You can choose to go back to the main menu, restart the game or replay the level. This sums up the main features of Extreme Landings for Windows 8 and 8.1. 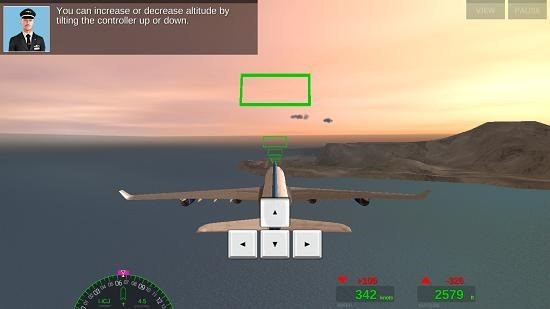 Extreme Landings is a great game for Windows 8 and 8.1 which allows you to awaken the hidden pilot in you. You can grab the game for free from the link below.